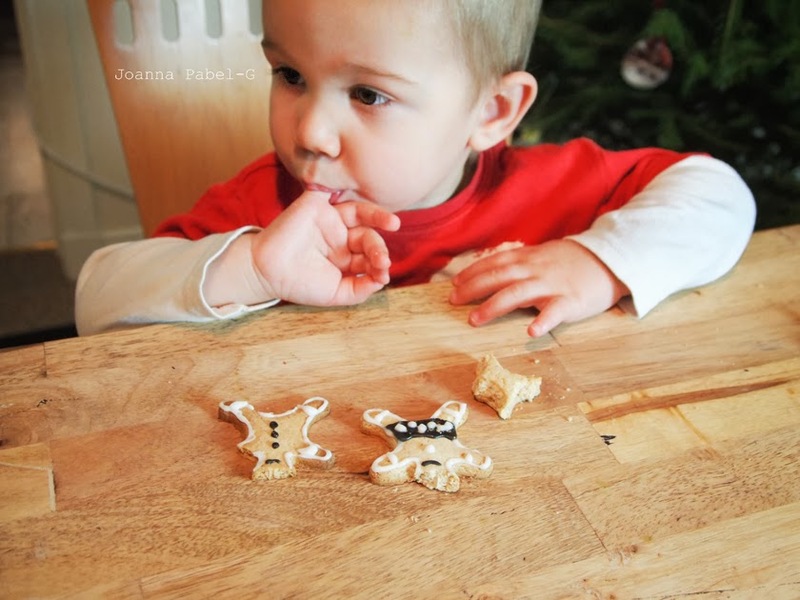 A few days later we were going to decorate gingerbread but it turned out that my son doesn't like to decorate it. Then I tried to hang gingerbread men on the Christmas tree but my son started eating gingerbread men head....so I finished decorating the Christmas tree at night. The next day it was fine. Gingerbread still hang on the Christmas tree. They look really great and probably taste as good as they look. Your son is sooo cute! Tutorial: Tissue Paper Pom Poms - Minions Birthday Party. How To Make Paper Christmas Baubles? Tutorial. Joanna Pabel-G © 2012-2014. Powered by Blogger. 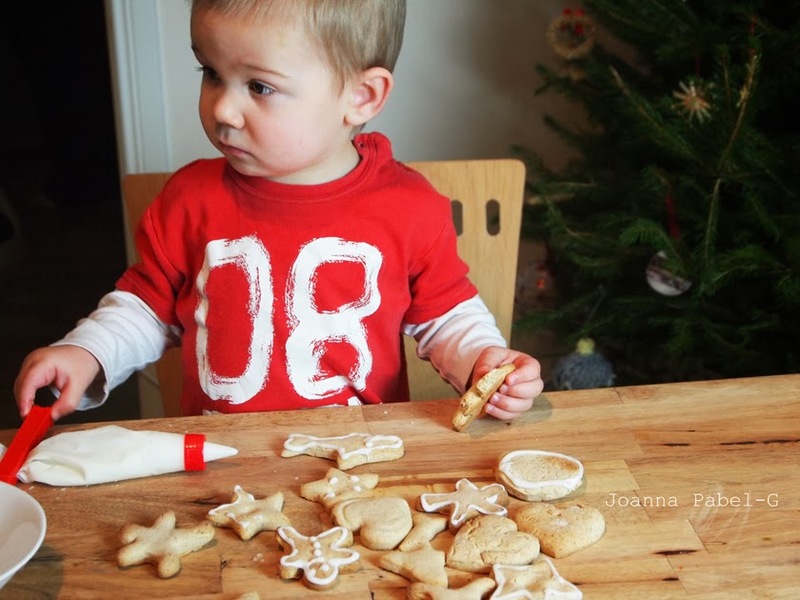 © Be Creative Mummy / UK lifestyle Blog / Crafts | All rights reserved.